Actress Yamada Isuzu (5 February 1917 – 9 July 2012) dies at 95. Several international newspapers have reported this sad news. 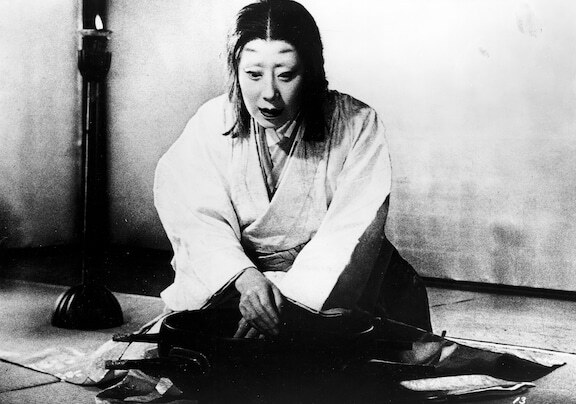 I do not know much about her work with other directors, but I have got to know her very well for her role in Kurosawa’s Throne of Blood, which was the topic of my baccalaureate thesis, and my first introduction to the world of Noh theatre. 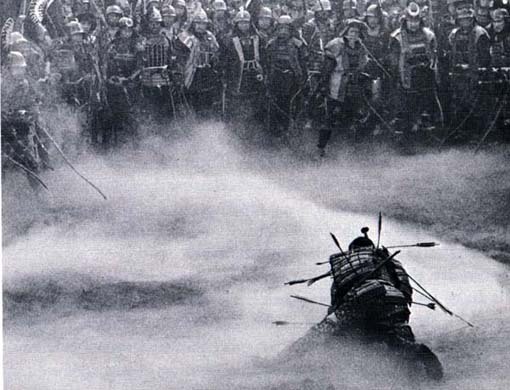 In Throne of Blood (based on Shakespeare’s Macbeth) Yamada was Asaji, Washizu’s diabolical wife. The mastery of Akira Kurosawa transformed Yamada into a Noh mask in the famous delirium scene where Asaji/Lady Macbeth tries to wash invisible blood stains from the hands that plotted the murder of Lord Kuniharu. The news has bounced on many international newspapers, such as the Japan Times, the Washington Post, and the Guardian. In this report by ANN news (which even describes what she decided to wear before for cremation) it is reported that Yamada preferred not to have flower vases with showy decorations: the funeral took place in an atmosphere of sobriety that characterised her personality.